One of the great things about WordPress is its flexibility to quickly and easily add plugins to make user interaction with the site more pleasurable and interesting. However, there are plenty of plugins that also help the owner, most specifically SEO WordPress plugins which go a long way to help boost a site’s rankings on the search engines if used correctly. To this end, there is a variety of WordPress plugins available for SEO (Search Engine Optimization) purposes, all offer powerful tools to enable the owner to provide on page optimization for their site. This article will look at and identify some of the best SEO WordPress plugins. 1. WordPress SEO Yoast – Written by a WordPress developer and consultant, this plugin is one of the very best for SEO purposes. Its main power is the way it forces you to declare a keyword and then helps you place it in all the areas of your content it needs to go. It also has a snippet function, enabling you to look at how it appears on search engine results pages, allowing you to edit accordingly. It handles the other technical aspects of SEO, such as Meta, sitemaps, and it even includes an on page checker to show you how much of the page has been optimized properly and where it is weak. 2. SEO Ultimate WordPress Plugin – This is a very powerful plugin has many features and enables the user to produce powerful on page optimization. When you create a post or page at the bottom of the screen are fields to edit to enhance your SEO. If you are using an existing SEO plugin when you install this it lets you know that SEO Ultimate handles everything your existing SEO plugin does and recommends you uninstall that to avoid potential conflicts. It markets itself as an SEO plugin that combines the features of most SEO plugins plus adds more functionality. 3. All in One SEO Pack – This plugin is a little simpler and lighter than the first two and is a good way to introduce yourself to the wonderful world of SEO. You can add your own keywords and descriptions at the bottom of every page or post you create or edit to further your SEO. With any of these three SEO WordPress plugins, your on page optimization will be handled effectively and well. There are others, but these really are the best three. The next two plugins are great little extras to help your site gain a little extra leverage. 4. SEO Friendly Images – Often, keywords are not applied to images and this is a very important part of effective SEO. This little plugin is very useful in that it allows you to automatically rename your images with respect to your keywords, as well as automatically adding in keyword rich alt tags too. It’s a great tool especially for your existing images on your WordPress site. 5. SEO Slugs – This is a great plugin that eliminates words such as ‘a’ and ‘the’ etc from the post slugs. This again improves SEO. There are plenty of other great SEO plugins which will all benefit your site in some way. 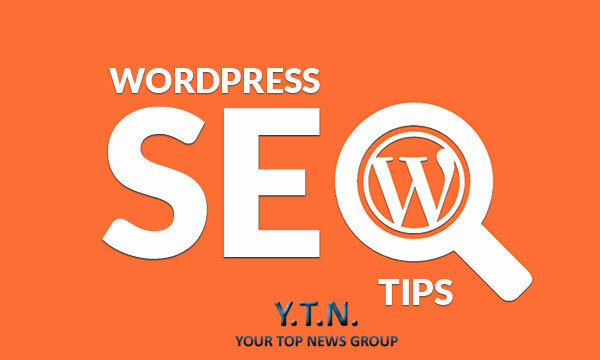 SEO WordPress plugins allow you to greatly enhance the findability of your site.